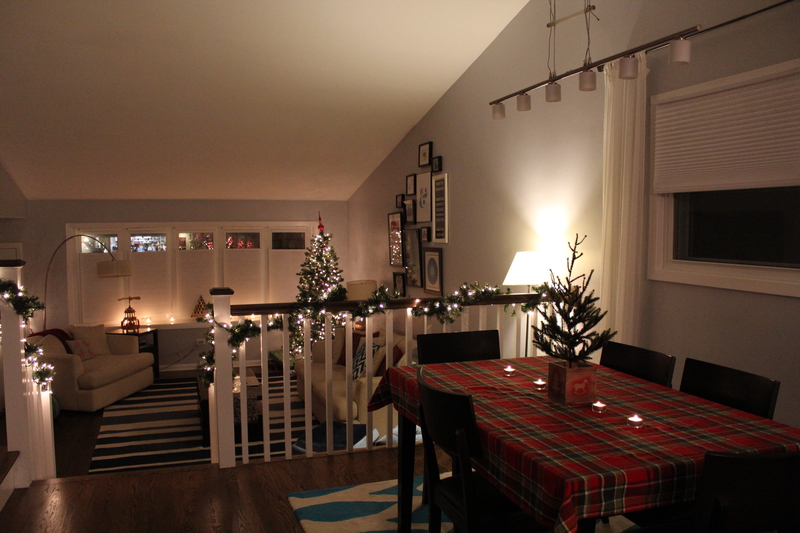 I loved the hygge concept, and quickly decided to make it the theme of my annual holiday party with friends. To me, hygge meant being wrapped up in a warm cashmere sweater with a roaring fire going on the coldest day of the year, sitting in a well-worn armchair in front of our twinkling Christmas tree, reading a wonderful book, drinking a cup of tea, with Dan doing the same thing next to me, and Phoebe at our feet. It’s a feeling of coziness, contentment, and wellness. I focused on the concept throughout my planning – from the food and decor to party atmosphere. 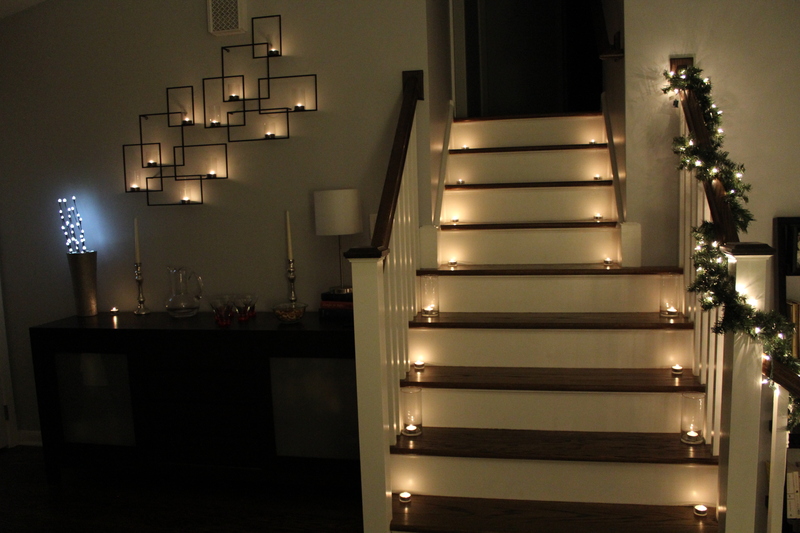 The decor would be simple – a small Christmas tree on the table, and candlelight everywhere – on tables, up the stairs, and on windowsills. For food, everyone brought a dish that was meaningful to them in some way. Dan and I each baked cookies that were reminders of childhood. I made befana, a Christmas treat my grandma used to make. Dan made big batch cookies, a dessert his mom still makes. 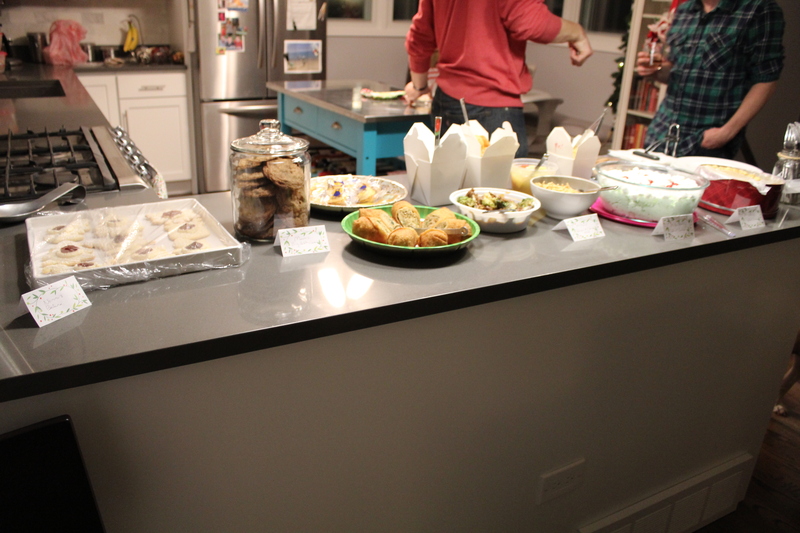 To my surprise, others brought food that ranges from cookies to fancy oyster crackers to Chinese food. I printed these little tags for everyone to write what each food item was. People would read the tag, then ask about what memories the food triggered, or why the food was special. Even though we’ve known each other for years, we all learned a little something new about everyone. The party felt exactly as it was supposed to – calming, cozy, comfortable – a great night with great friends. 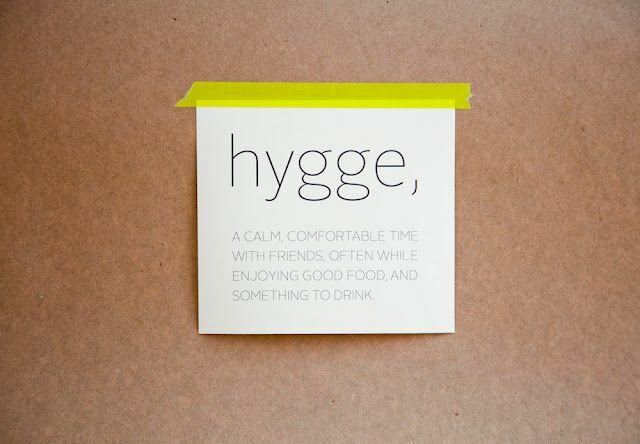 I loved the holiday hygge concept and think it will be in contention for next year’s party theme! I enjoyed this theme. Thanks for hosting.